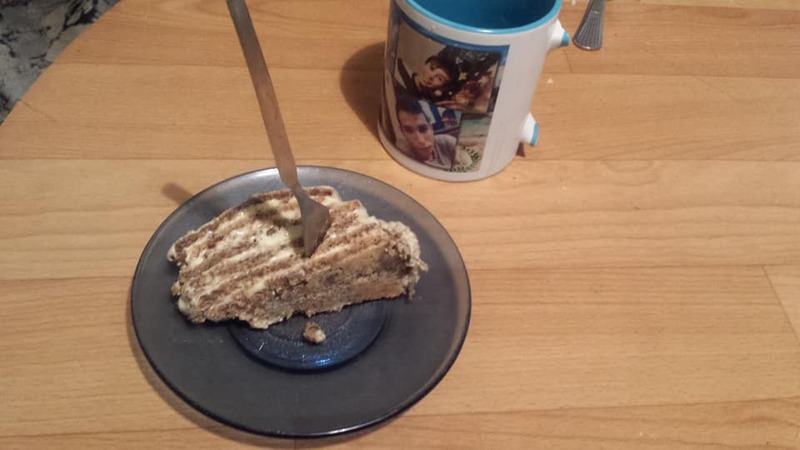 How to prepare Esterhazy cake, my favorite part in this cake is the thin plate of nuts. In contrast, however, the classic cream with a lot of oil seems too heavy, even during the cold winter months. By including the fondant coating, which is made mainly of sugar, the cake becomes heavy and I can not eat more than two bites from it. 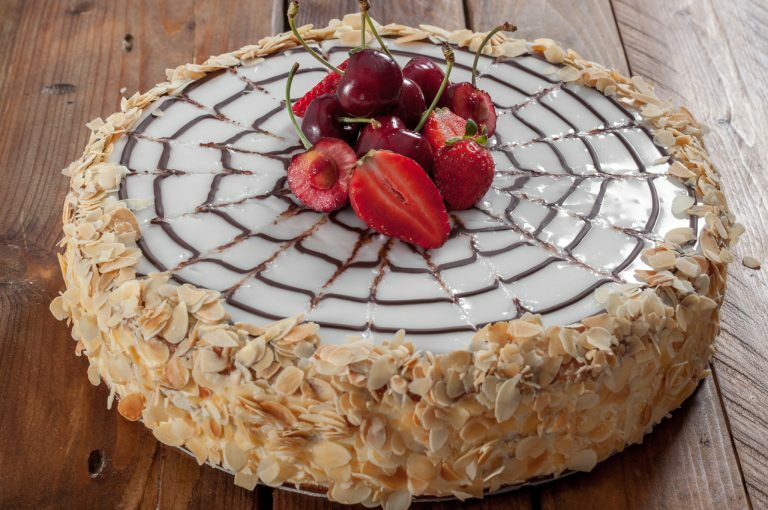 The classic version of Esterhazy cake for me is suitable for petifuri – saturated fat and sweetness in a bite. There is nothing strange here. Now you are looking for light, airy and not very sweet desserts, but with a lot of taste. I, too, prefer them. In this case, however, it is an emblematic cake and it would not be good to escape too much from the classic version. That’s why I made a recipe for Esterházy with a few attempts, which I like, but still does not deviate from what is expected. In fact, the change I made is only one and it is – I reduced the amount of butter in the cream. Enough to keep the saturated taste and density in the bite, but also to feel more airy. And yet, it’s a cake Esterhazy cake. It would be good to offer it after a light main menu or with a strong coffee. The recipe that I drew over time is a set of adaptations of the main components. Cook the nuts in a preheated oven at 180ºC for 6-8 minutes, stirring periodically. You can consume in a dry pan of a medium heat cooker for 6-8 minutes with periodic stirring. If hazelnuts are used, immediately after they are cooked, they are placed in a clean kitchen cloth and rubbed through it to remove the skin. Spray with a spray bake or grease with greasy vegetable oil. Proteins are broken down at a medium speed mixer until they start to form foam. The mixer speed increases and then sugar is added to it a little. You need to get a tight and shiny dimension. If there are still crystals remaining in the sugar, the meringue is broken down to medium to low speed for some time until there is no sugar in it. How do you check this out? You take a little meringue with your finger and rub it between your thumb and forefinger. If you feel crystals, you keep crashing until they break up. If the measure is smooth, keep going with the recipe. When the meringue is ready in it, pour the finely ground nuts. Stir with a silicone spatula gently so as to maintain the volume of meringue. The mixture is divided into five equal parts. Each part is placed in the center of the drawn circles on the baking paper. Spread evenly with a pallet knife to the outline of the circle. Plates with a thickness of 4-5 mm should be obtained. Two of the boards are placed in the two trays. The trays are positioned in the oven at the second and fourth levels or so that there is enough space between them. Bake for 10 minutes. When removed from the oven, the plates and the baking paper are placed on a grid.